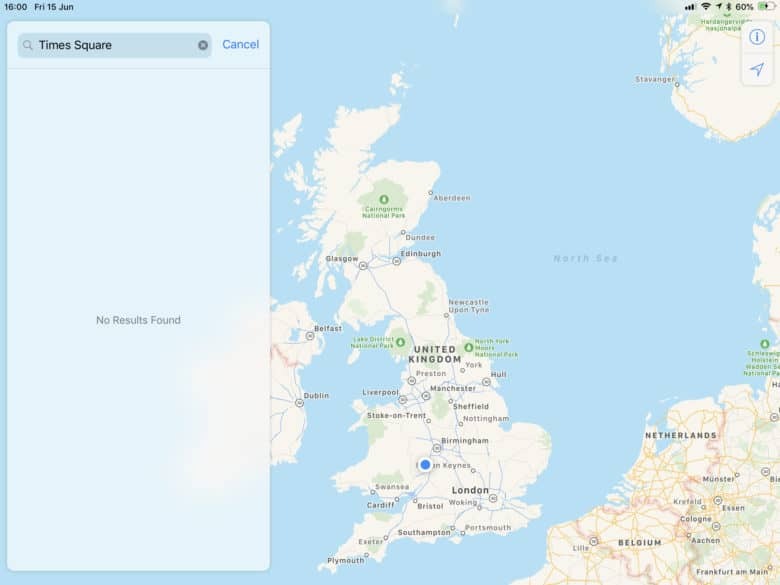 Apple Maps has bounced back from its embarrassing introduction in 2012. It is now a reliable and trusted service for millions of Apple users. But not today. Many are unable to use Apple Maps for search or directions. In some cases, searching for locations doesn’t work, either. I got “no results” when using my iPad Pro to search for “Times Square,” as you can see in the screenshot above. The problem is not limited to specific countries or regions; users all around the world are affected. One Apple data center employee told AppleInsider that “nothing obvious” is going on at the moment. The company’s System Status page shows that all services should be functioning normally. It’s not yet clear what’s causing these issues at the moment, then. Some users have also reported problems with the App Store, but these don’t appear to be anywhere near as widespread; members of the Cult of Mac team can download apps just fine.